Specially designed for grass and sensitive ground conditions. This tire is also flexible for both soft and hard surfaces. 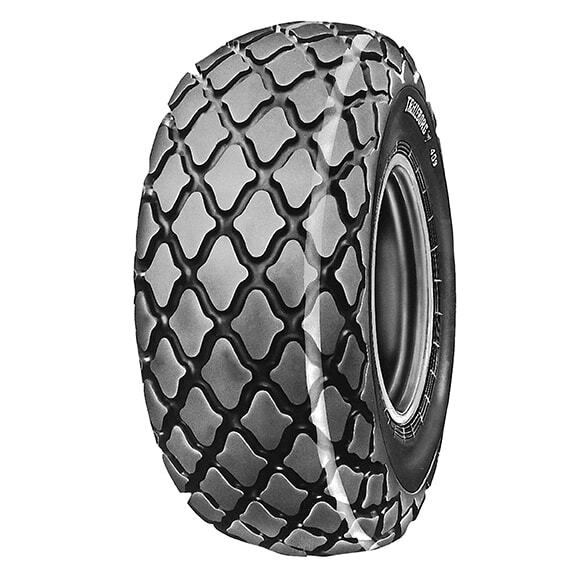 Its soft carcass design, considerate tread pattern and low ground pressure all contribute to no track formation and very little soil compaction. Load data in the table is valid for one tyre only. Reference speed,load and inflation pressure are shown in bold. TL= Tubeless.Tubes are not suitable for use in Garden Tractor tyres. 25= 25 Km/h concerns service on green areas and road. 40= 40 Km/h concerns service on road only.